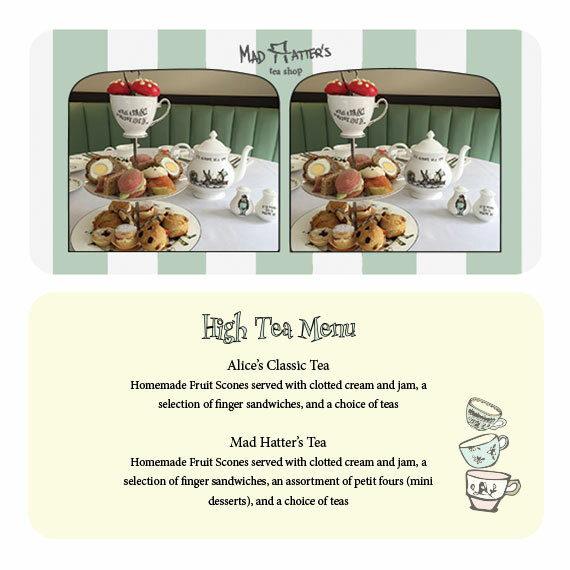 Project Brief: The Mad Hatter’s Tea Shop, a campy Victorian tea shop based on Lewis Carroll’s Alice in Wonderland, has opened on the upper east side of NY. Glittery glamour is a must and the tourist trade is a key demographic. Servers wear silly tuxedos and long aprons with battered, multicolored top hats. They make an excellent array of scones, and in addition to breakfast, lunch, and high tea, they host catered events, in which they give away fairy dust and wands as party favors. The tea room at the Victoria and Albert museum, filtered through a “DIY what’s-in-your-dumpster?” New York scrounging aesthetic has played a key role in dining room decoration and should be respected in further design efforts. 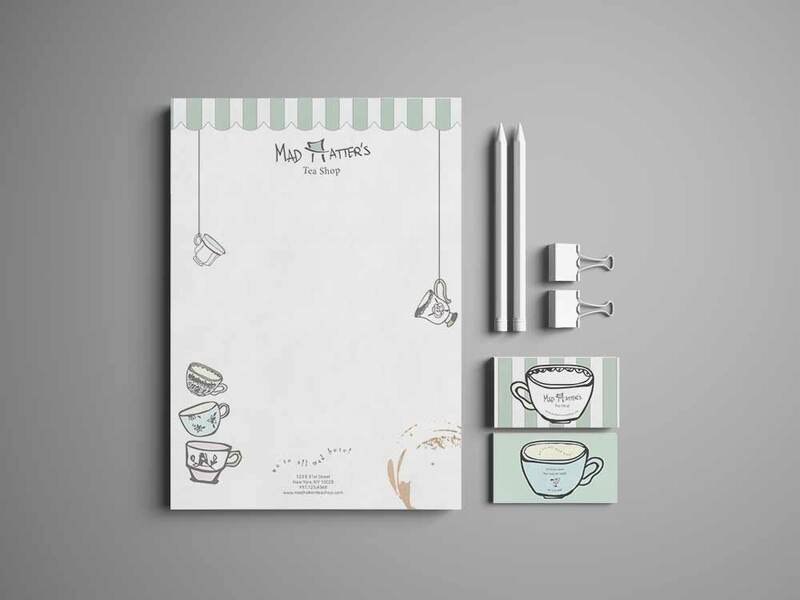 Approach: To create a brand identity that captures the tea shop’s multi-faceted personality, we created a whimsical brand system that incorporates hand-drawn elements reminiscent of Lewis Carroll's original manuscript of Alice in Wonderland and laid them out in a “mad” way. 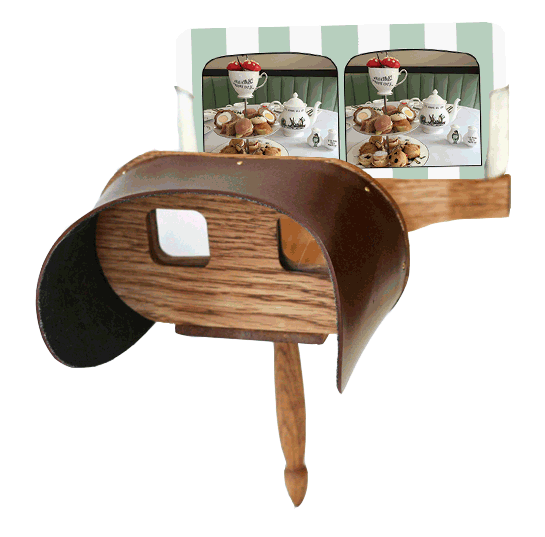 Also, to pay homage to the “curiouser and curiouser” theme of “Alice in Wonderland,” we created interactive deliverables, so that visitors will be able to engage in various experiences and adventures even with the branded materials present at the tea shop.